We take the 9 am bus (closed top double decker) to Bucks Mill, where we are confident we can easily find the coastal path. Bus lets us out here. We know from our guidebook that the path is 3/4 mile downhill. Downhill is good. ​Lots of cute houses as we head down to the coast. First sight of the sea! Still more downhill to go. Ha! This is why you actually look at the map in your backpack. This is obviously not the coastal path. So back up we trudge. Sigh. ​And find the sign we missed. We can see water once in a while, but mostly we're in the woods. Going uphill, of course. ​We leave the woods, cross a field, go back into the woods, come back out, go back in. This goes on for quite some time. The sea is still a distance away. Finally! We see Clovelley. According to our guidebook, the tiny village is 65 minutes away—based on the speed of the hiker who wrote the book, of course. Cars are not allowed in Clovelly, and it's so steep that the residents and shop owners use sleighs to drag their groceries and supplies down the tiny cobbled passageways. The view as we head down into the village—toward drinks and food and sightseeing and that wonderful feeling that you get from a long arduous walk. 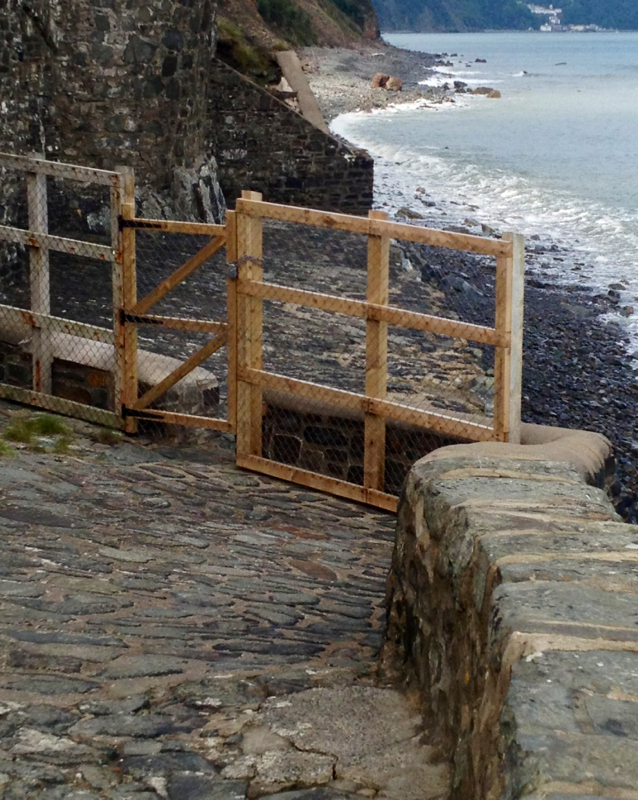 See more Clovelly here.